This personalised glass pebble is engraved with up to 8 characters of your choice. 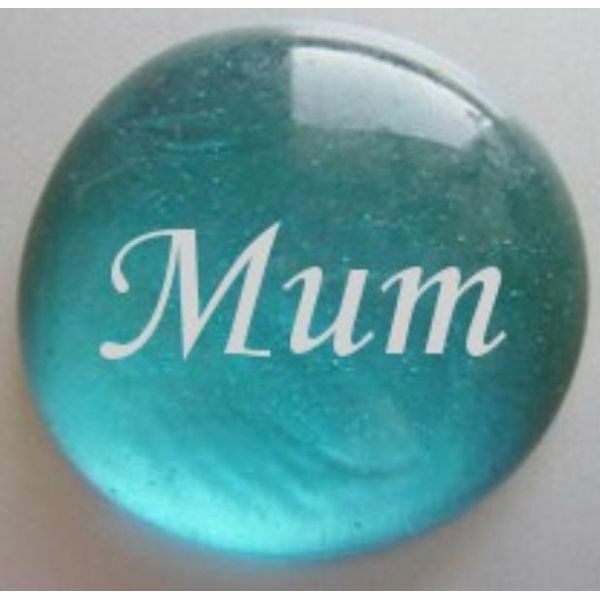 The glass pebble could be personalised with, for example, a name, Mum, Gran or initials. These personalised glass pebbles make small unique gifts. The personalised glass pebble is oval shaped and approximately 3cm wide and 2cm high, but the sizes do vary slightly. The postage rate for the personalised glass pebble is band A, but buying multiple glass nuggets may increase the postage to band B.